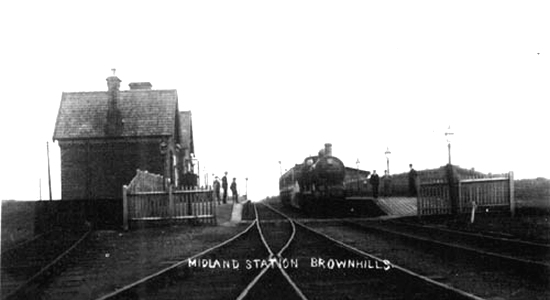 An interesting experiment by the Midland Railway saw Brownhills second station to bear its name emerge in 1884, albeit subsequently to have 'Watling Street' appended to it. 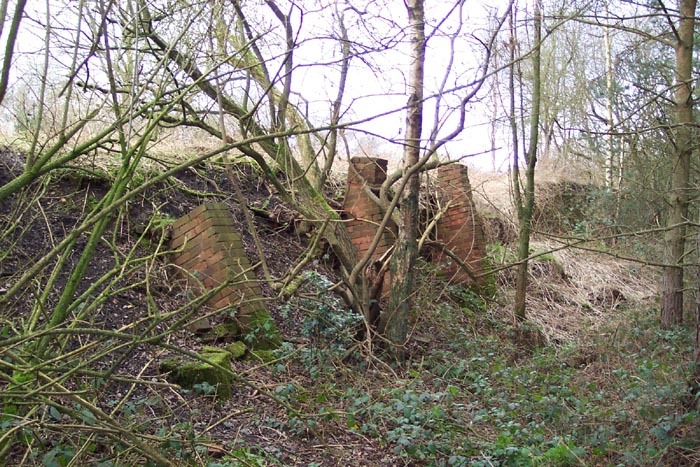 The 5.5 mile branch from Aldridge to link to the Cannock Chase & Wolverhampton Railway and various colliery lines north of Brownhills opened in two stages: Aldridge to Walsall Wood in 1876 and finally to Cannock in 1880. The line was envisaged primarily as an in-road by the Midland into the lucrative colliery traffic around the Cannock area with the line serving five pits with traffic so significant that the line had to be doubled. In 1884, onto this most industrial of lines, was opened Brownhills station - a significant distance from the town itself. Above we see an early 1900s postcard view of the station. Unsurprisingly, passenger numbers were not significantly forthcoming and the station closed to passengers in 1930 with the line itself continuing to operate for mineral trains until lifting in 1960 following a gradual decline in the number of operational collieries in the region. 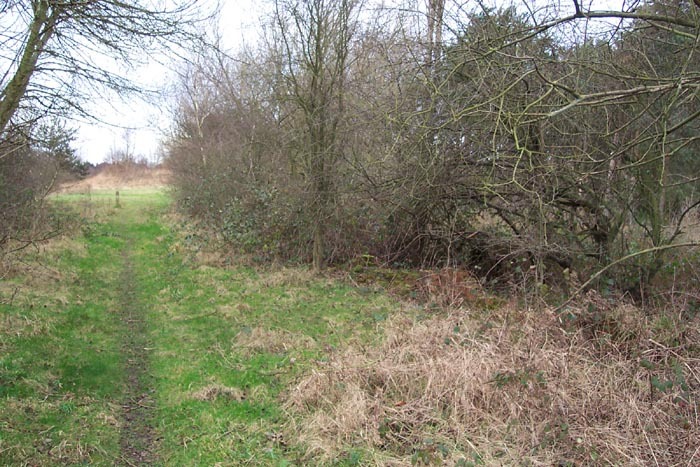 Above-left is the same view today (well,as close as you can get) showing that nothing remains of the line today at the site that can be discerned from Watling Street. However, just to the right of the previous shot is the gateway seen above-right. 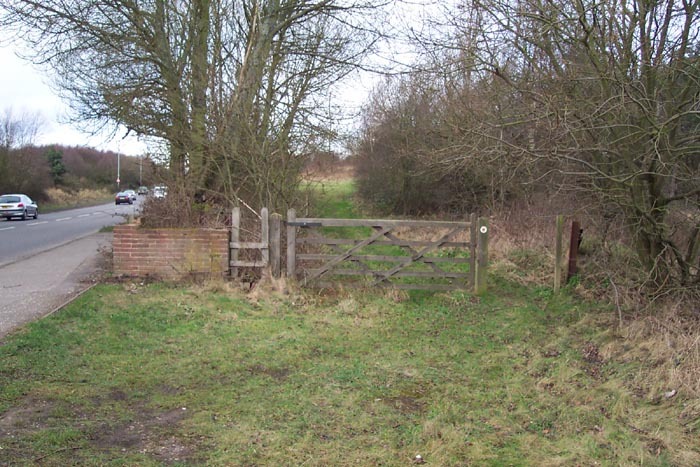 If you enter the gate the first thing you should notice is the remains of some brickwork at ground level to the right of the pathway. 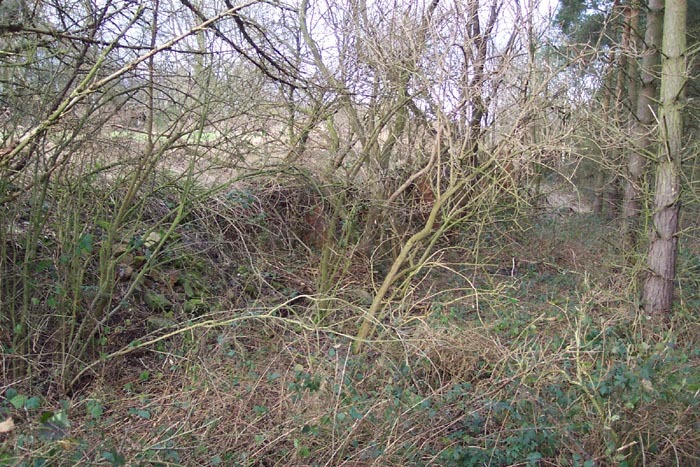 Above-left we have passed through the gate seen previously and, to the right, some remains of brick walling can just be made out in the undergrowth in the enlarged shot. This was a gratifying sight as I wasn't certain that I'd found the right spot initially: a bit of educated guesswork had led me here. Walking ahead of the previous shot brings you here, to the trackbed itself. We have walked into the trackbed and are looking back at Watling Street with the large station building seen in the old photograph having stood to our right. There is nothing in the shot to revel the site's past however, if we turn to face Cannock a whole different picture emerges. 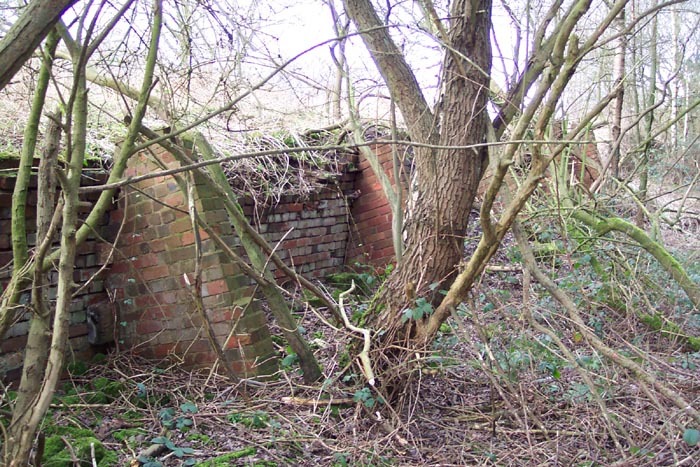 Above-left through the undergrowth is the remains of a brick wall marking the station site. Exactly as to what part of the station site this constituted is a moot point as it appears to be some low buttressed retaining wall. Above-right is a little ahead of the previous shot and here you get a better look at the remains. 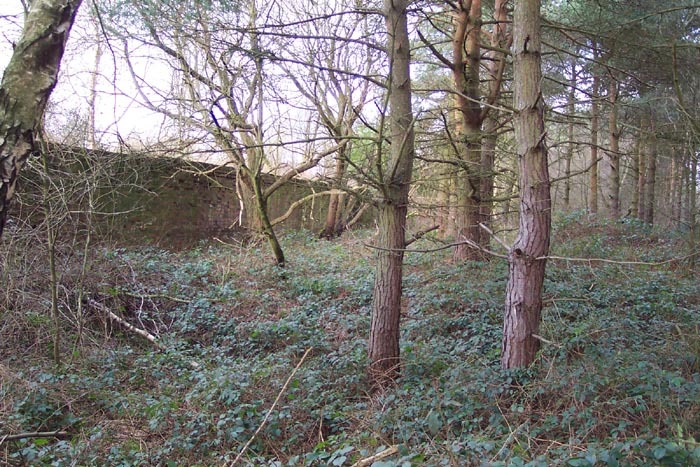 Above-left shows further buttressed walling and above-right is the furthest point from Watling Street showing a considerable wall alongside the trackbed. It is very difficult to match these remains with any point on the old photograph at the top of this page as it is not clear enough, nor looking at a signifiantly large portion of the stations's structures, to pinpoint exactly what we can see today. All that can be said is that there were no other structures on this piece of land and through using old OS maps this is identified as the spot so they are remains of the station facilities which, although not totally satisfactory, I do find fascinating even if we don't know their exact function. 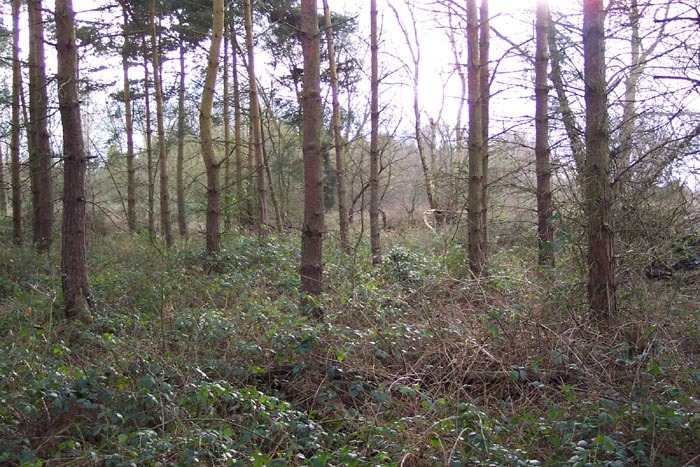 This site is definitely worth a quick look if passing but do it during the winter months: fighting through the undergrowth was bad enough this time of year, I'd hate to do it during the growing season!